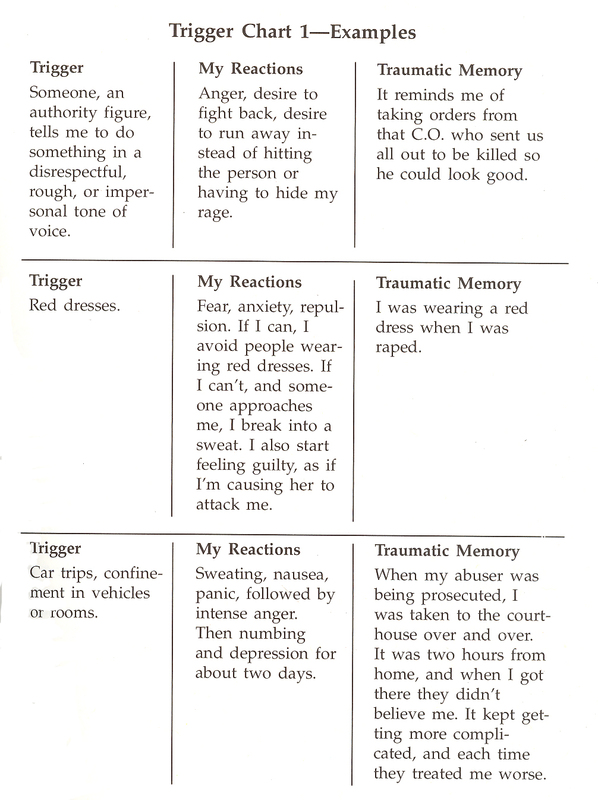 In the third column, try to trace the trigger to the original traumatic event, to a secondary wounding experience, or to an event associated with these experiences. If you cannot remember the original events, do not be overly concerned. The main point of completing this chart is to help you to understand and anticipate when you might be triggered. This under­standing is the first step toward change and toward control. What is the main purpose of a Trigger Chart? Record the letter of the correct answer the Answer Booklet.